Christmas is one of my favorite holidays. However, I’ve also noticed that Christmas can bring a lot of stress or to people for various reasons. Today I’m sharing a few tips to get you through this holiday season. These are tips that you can use on a daily basis well after the holiday season is over and done with. I can’t stress the importance of how important it is to plan out your holiday season I am not perfect by any means however I’ve noticed that planning definitely does make things a lot easier and take the stress off of you. If you have a hard time finding the perfect dress for all of the holiday parties that you're invited to, purchase multiple dresses. I know that this may sound a little strange. However, it's better to have multiple options, than to wait last minute, and you just feel like not attending the event due to feeling overwhelmed. Just remember that when you purchase those items, make sure that you can possibly wear them to another event if needed. If you struggle with being a last minute shopper. Create a printable monthly spread, showcasing the deadline and budget you have to purchase the gift for each person. When it's time to go shopping, you have already broken down your list, and know who you're going to by for. I highly would suggest not having anything on your task list or to do list a week before Christmas just so that frees up time for you to do the stuff that you love maybe. This could be going to the spa and maybe is having a countdown and/or creating an advent calendar with your family prior to the holidays. It’s so important to know your triggers throughout the holiday season do you get stressed out when you have to do stuff last minute do you not like being around crowds do you prefer to not overextend yourself. It’s just so important to know what triggers you and I feel that a lot of people find themselves stressed out during the holiday season because they overextend themselves. Don’t be afraid to say no to people if being, if last-minute holiday shopping stresses you out and you're really triggered to the point where you don't even feel like celebrating the holidays, take a moment to step back, and reflect on the situation. What's caused you to be stressed out. What could you do differently? It’s so important to know when to say no and how to say no I feel like a lot of times we overextend ourselves and you're unable to accomplish the goals that you have due to saying yes to everything and everyone. Really sit down prior to committing to something, ask yourself if he’s going to bring more stress on more joy to your holiday spirit. 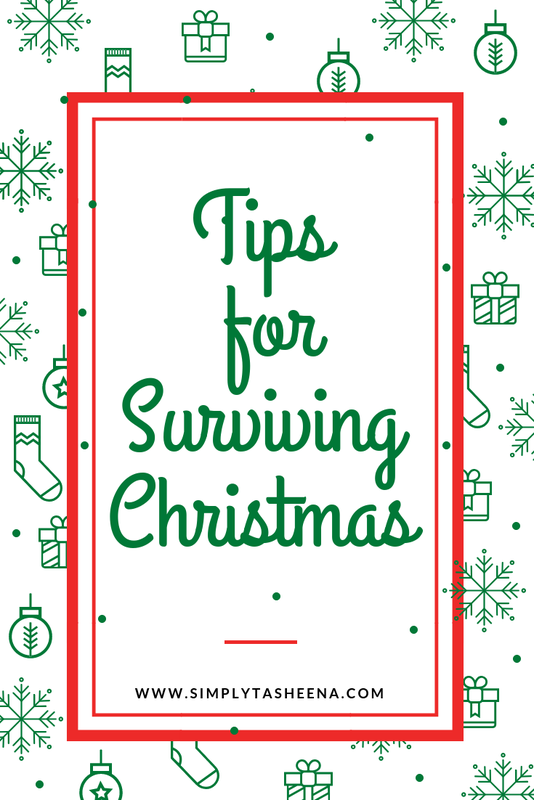 Do you have any tips for Surviving Christmas? The most important tip to me on this list is to Learn to Say No! We do not have to overcrowd our schedule or say yes to everything. Once we can master that the stress goes way down. You are so spot on with all of this. Saying no is always the hardest one. After a week of getting steamrolled by family for Thanksgiving, I need to dig my heels in for Christmas. 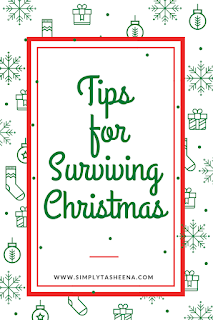 These are some great tips, Christmas can be such a hard time of year for people. Making a plan and having people help you out is such a good thing to do. I've got to learn to say no! 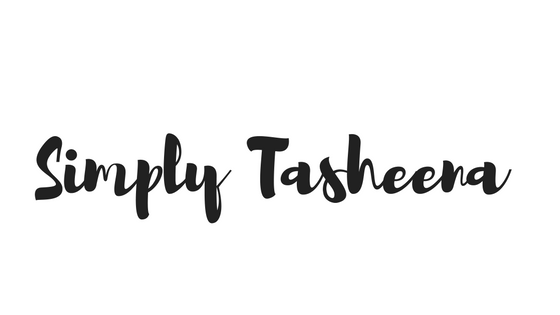 Every year I say I'm going to cut back and not do as much, but as a blogger, this is my busiest season. So far, it hasn't worked very well, but at least I'm ahead of my shopping game. Yay! I'm almost done and that is a miracle. I have a difficult time saying no, especially during the holidays. I tend to try and please everyone, and I know that that's impossible to do. I think this is really good advice for the next few weeks. Trying to have the perfect holiday can be stressful and knowing one's limits and triggers is a great way to not let the stress become too much. I am a planner and if there is not a plan in place, I freak out. I am loving all of your tips. Yes! I learned to say no a few years ago, and I'm much happier for it. If someone is upset with me, oh well. Life moves on. Such good tips! I don't get too stressed over the holidays anymore. We stopped buying a ton of gifts and started coming up with one experience instead. It's changed everything. I love this time of year, there is always so much going on. But it can get a little hectic and busy sometimes. I need to learn to say no more when I am feeling stretched thin. Learning to say No is important. These are great tips that everyone can learn from and apply. My favorite tip is to relax and enjoy! Whatever you have chosen to do or not do, relax and know you did the right thing! Yes for saying no! Sometimes it's just not worth it if it's going to compromise your mental health. Love your tips! So hard this time of year! I just try to remember what really matters this time of year! We've having family and friends over. It's going to be quite exhausting, but it'll be worth it to see the kids' faces.